Description of "Back to the Roots"
Back to the Roots – The Journey Begins is a story about the transformation of a young boy to a man. The lead character Arvind travels horizons to achieve his identity, to earn society’s respect and make his family proud. The journey teaches him lessons at every corner and this continual learning makes him weak. He finally understands that the sacrifice he is making is not in vain and would be fruitful once the destination is reached. 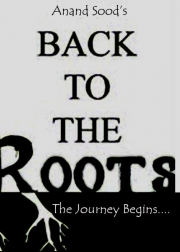 Back to the Root – The Journey Begins is the first of the three novels that traverses every young individual’s journey from being a nobody to being someone special. Travel your journey through Arvind’s eyes. Reviews of "Back to the Roots"